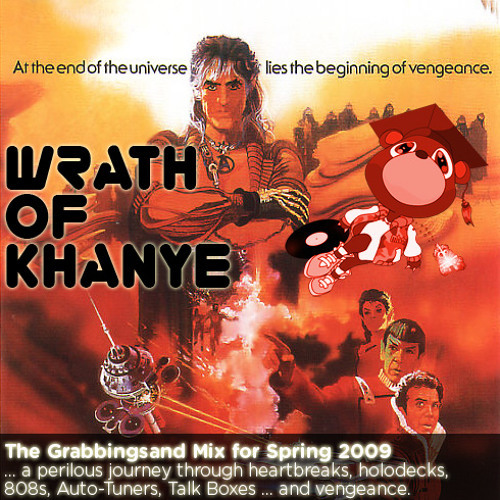 In 2009, I threw together a mix inspired by Kanye West's 808s and Heartbreaks. Here's what I said then: "I couldn’t dismiss it entirely. I left it on my iPod, letting shuffle find tracks on occasion and usually letting them play out. I started to think of it as a friend going through a rough patch. Even with the misplaced emotions, the production values were still incredibly high, so 808s could put on a brave sonic face. Basically, I couldn’t abandon it, but I knew it needed time to itself. Maybe 808s needed therapy? Then I thought, maybe what poor little 808s needs isn’t therapy, but some good company. 808s needs musical friends. And maybe a new voice to vent some frustrations." Two years later, I've taken a scalpel to the original mix, nixed some fluff, maybe made it better.